Greece’s main opposition party, conservative New Democracy has brought back to debate the right to vote for diaspora Greeks. On Monday, ND leader, Kyriakos Mitsotakis, resubmitted to Parliament his legislative proposal to give diaspora Greeks the right to vote in Greek elections. 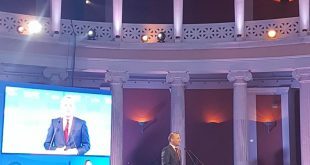 Complaining that his original proposal he submitted 18 months ago was never not put up for debate, Mitsotakis pointed out at the thousands of young Greeks who left the country during the economic crisis and migrated abroad. “Today, more than ever, we must grant this right, not just to ethnic Greeks who left the country decades ago but also to young people who, in their hundreds of thousands, left the country during the years of the crisis,” Mitsotakis said in a statement. “This self-evident right should finally be consolidated in legislation. 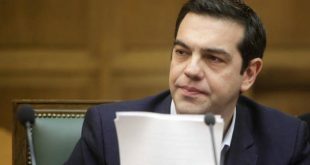 There is no excuse for not bringing the legislative proposal up for discussion in Parliament,” the ND leader said adding that Prime Minister Alexis Tsipras should have taken the initiative to acknowledge the importance of granting all Greeks living abroad the right to vote in Greek elections during his US visit last week. Mitsotakis proposal stipulates that Greek citizens living abroad who want to vote must inform the relevant Greek consulate in their country of residence no later than 60 days before the election. 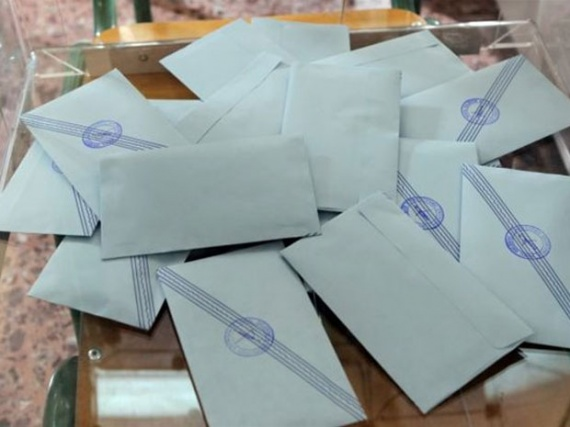 The proposal would allow all Greek citizens living abroad to exercise their right to vote in the parliamentary elections, at the place of their residence, provided they are registered in the Greek [population] registers. Mitsotakis proposal would allow Greeks who left the country 30-40 years ago but remain registered to cast votes. First time New Democracy under Costa Karamanlis submitted a relevant bill was in 2007. The bill never arrived in the plenary. Members of the parliamentary committee from PASOK and SYN (predecessor to SYRIZA) raised several objections. The main and most important objection was:a Greek citizen living and working permanently abroad fro decades, with children and grandchildren who do not even speak Greeks, will decide for the fate of the country? Mitsotakis bill does not make reference to the time of absence even in his latest submission. Last summer, the General Secretary of Interior Ministry and high-ranking SYRIZA official, Kostas Poulakis, said that there was a big difference between the thousands of young Greeks who were born and raised in the country and have migrated in recent years and the Greeks of second and third generation living abroad who may not even speak Greek or have visited the country of their ancestors just for vacation. The main concern of those objecting granting voting rights to diaspora Greeks is to prohibit the alternation of the locals’ will in elections. Some countries have set the time limit of permanent absence between 5 and 25 years. For sure, the Greek state cannot grand voting right to all Greeks who have been living abroad for several decades or belong to second and third generation. Do they have first hand knowledge of the problems of country? Certainly not. But those who left in the last 5-8 years of the crisis may do indeed have the possibility to vote and elect representatives in the country they were born and raised. A further question is whether diaspora Greeks who left the country 30-50 years ago, remain registered in Greece and therefore are considered as “Greek citizens” should be granted the right to decide in the country’s politics even thought they have lost contact to the Greeks problems and issues. The rest of the story is populism targeting conservative voters just in case they will ever be granted voting rights. *There is a distinction in Greek between diaspora Greeks and Greeks living abroad. The first refers to the traditional communities of Greeks across the world, from Ukraine to USA, and from Australia to Egypt and South Caucasus. They maybe not registered as Greek citizens. While the second term refers to registered Greek citizens living outside Greece.